The most popular motif in Chinese culture and weddings - the Dragon and Phoenix, remains permanent fixtures in numerous weddings till date. For individuals who continue to adhere to traditional Chinese customs, these mythical creatures are found in everything from the candles to the elaborate embroidery on the traditional garments. The Symbolism - Why Dragon and Phoenix? So why the reverence to these two popular Asian folklore creatures? The Dragon and Phoenix pair historically, symbolises royalty and the perfect harmony and balance between yin (female) and yang (male) forces. It is said that this coupling complements each other in creating matrimonial bliss and perfection - befitting of their status of a symbol of everlasting and harmonious love. The Dragon and Phoenix - the epitome of the perfect pair, symbolises that the couple will stay together through thick and thin, and that their passion for their significant other will never die. The custom of weaving these motifs into weddings is a way of blessing the newlyweds with both patriarch and matriarch luck, prosperity and fortune in their union, and numerous filial descendants. Admittedly, the Dragon and Phoenix aren't exactly the most modern motifs to have plastered around your wedding day. 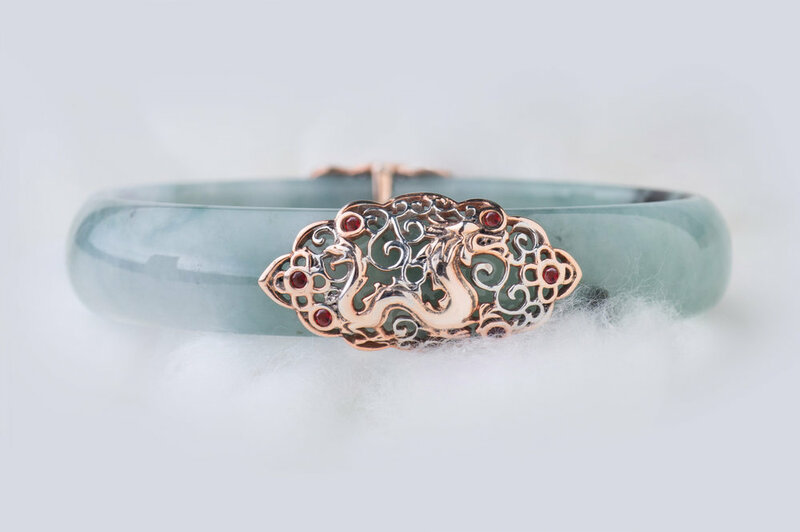 At Choo Yilin, we've taken these significant icons and reimagined them into beautiful ornate designs for our signature jadeite bangles. The result? An adherence to tradition without compromising on sophisticated style. 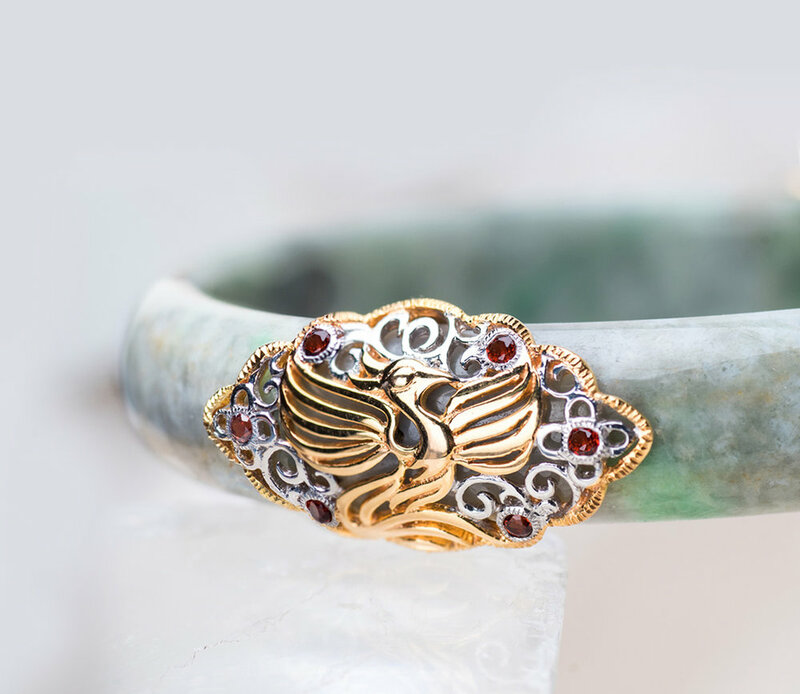 A subtle way of pay homage to your ancestral customs whilst retaining a classic, timeless flair comes our Choo Yilin Dragon Phoenix bangle. Furthermore, the amalgamation of important Asian motifs and another meaningful icon - Jade, results in a beautiful story of Asian traditions, preferences, and legends. If your wedding day is approaching and you're a proud advocate of culture and heritage - book an appointment with us at our Mandarin Gallery flagship boutique to curate your perfect bridal jewellery with a touch of tradition. 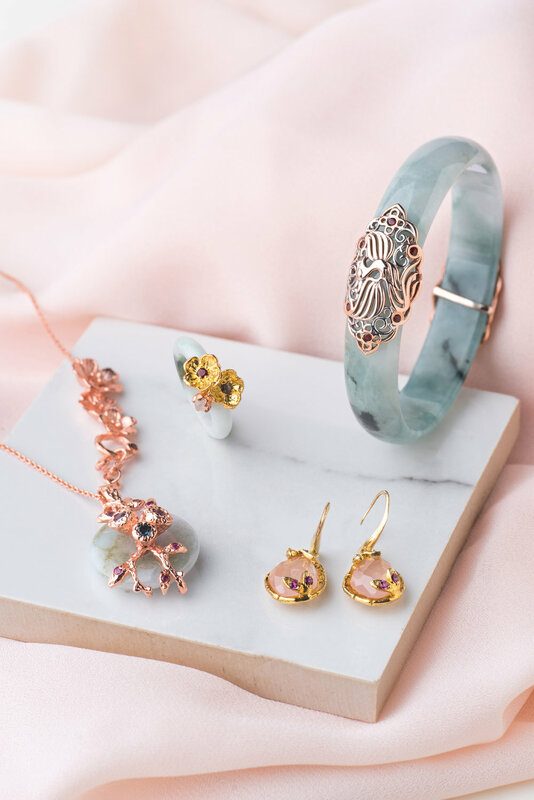 Alternatively, click here to read about the significance of Jade in your wedding day as well as all you need to know about Si Dian Jin.